Here at Central Michigan University, something occurs that challenges the natural conformity of the species I call my own. We, animals, are called college students. A special event was formulated to dissect, analyze, and contemplate what behavior is versus what should be considered “normal” for my kind. This week-long event enables us to step outside of what we’ve known for so long. It goes against all the tendencies that most on-campus students follow blindly. It’s a scary, loud, no-sleep-because-you-have-to-keep-dancing kind of trial; it is Leadership Safari. faces. So color me maroon and gold and call me an average teenager because, well, I was wrong. Safari was, admittedly, challenging to myself and other so-called veterans. Some of the activities were very close to what I had done before, but even so, it was on a completely new level. The large-scale of Safari changed even the most basic of games. I absolutely loved all of my past experience however, that fateful week felt most relevant to reaching for a future that I am really digging. I developed family strong bonds with people I considered strangers just a few days before. I made connections to people who can help and guide me for the next four years, and maybe even for a lifetime. I discovered that, with each day, there will be new and exciting challenges that will propel me toward my goals. I realized that I am making an impact today and not just in the wonderland that is called tomorrow. But most of all, I found my place in this world is wherever I can be at my best. A song I dearly enjoy says, “They all say that home’s where the heart is and I’d know ’cause I’ve tried my hardest just to see if I left it behind but it was with me the whole time” (Alive In Standby). 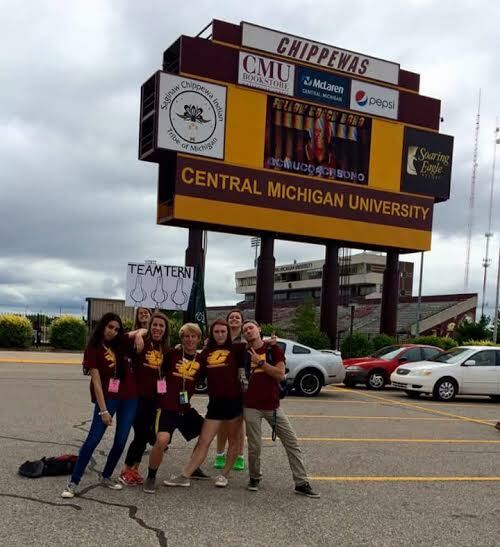 Because of the many feels and my constant, unstoppable, desire to connect with more leadership opportunities, I am going to apply to become a Safari guide during my time here at CMU. There is an atmosphere here that is completely unique to our campus. I never walk to a class or to work without waving hello to several encouraging individuals. Central constantly attracts and provides you with people who you can always lean on when you need them. This environment is the healthiest habitat for my species. I am proud to say that I went to Leadership Safari because it is what helps to create this beautiful ecosystem I call home.